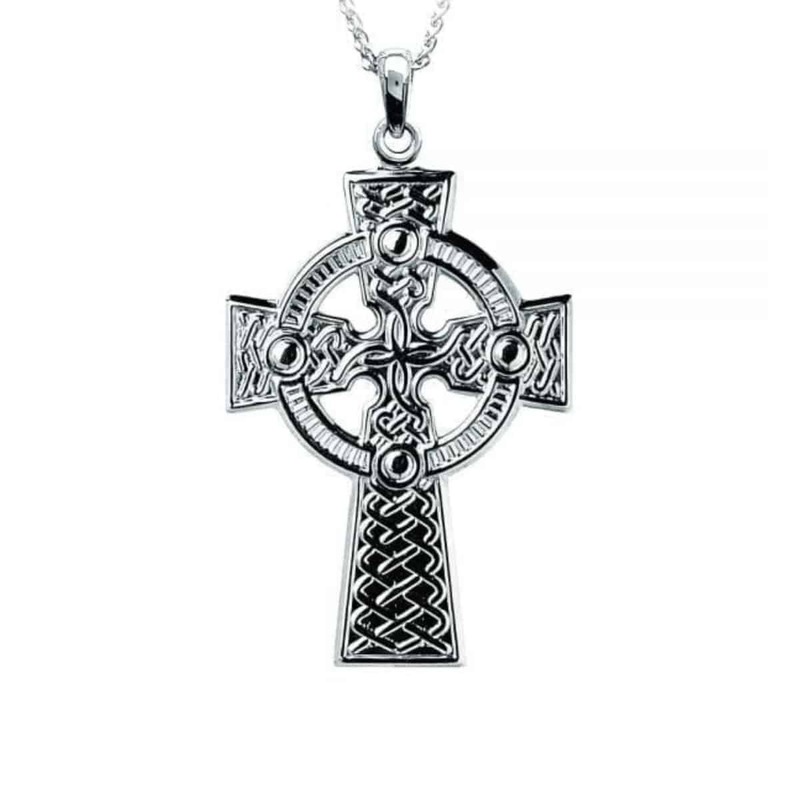 Traditional sterling silver Celtic cross available with either 18 inch or 22 inch silver chain. Handcrafted in Dublin in exquisite detail, this sterling silver gold Celtic cross is hallmarked at the Irish Assay Office in Dublin Castle. This traditional Celtic cross is richly decorated on both sides with an elaborate Celtic knot pattern and comes fitted with an 18 inch or 22 inch sterling silver chain. chain. Measuring 18mm wide and 26mm high (not including the bale).